Multi Cloud and Dell Technologies – my opinion – Abstract, Pool and Automate IT! Abstract, Pool and Automate IT! Hybrid cloud: The cloud infrastructure is a composition of two or more distinct cloud infrastructures (private, community, or public) that remain unique entities, but are bound together by standardized or proprietary technology that enables data and application portability (e.g., cloud bursting for load balancing between clouds). So Multi Cloud is a useful term when used to describe a situation where an organisation is consuming multiple cloud services of different types, IE IaaS, PaaS, FaaS and SaaS, from different locations, IE Public, Private, or Community; rather than just define ‘where’ the services are consumed from, which is effectively what ‘Hybrid Cloud’ describes in the NIST definition. So despite my initial cynicism I can see why the distinction has come about! It is also a useful term to help define a problem, which is related to the complexity that adoption of a Multi Cloud strategy entails. The breadth of Cloud Services being consumed that require even even light touch management or governance via the local IT organisation contributes to a far more complex IT Operations footprint, which in turn is in one part technology but another (larger) part a business challenge. Its also fair to say that Multi Cloud describes a situation that a lot of companies may also already find themselves in through a more ‘organic’ approach to adopting Cloud services rather than as a deliberate strategy. They may have ended up in a Multi Cloud world through lines of business now being targeted by technology vendors directly and by passing the old school IT function for example. The rise of Multi Cloud also boils down to the fact that there is no one size fits all vendor at the moment and organisations are taking a ‘best of breed’ approach to consumption of Cloud Services. They are also not afraid to commit or lock themselves into certain technology stacks which while nascent, offer considerable business value. Some typical patterns I have anecdotally seen across our customer base might be Microsoft for Office 365 , email, SharePoint and collaboration, AWS IaaS as a DMZ or second secure perimeter for B2C or B2B services , Google GCP for Kubernetes, containers, and data analytics. I’ve seen instances where customers want to build cloud agnostics services using containers for mobility and also customers that have gone all in with a single vendors services such as AWS Lambda. All whilst continuing to invest in on premise infrastructure transformation to enable a more efficient cloud operating model across all IT delivery capabilities regardless of whether they are on or off premise. Cloud is offering unrivalled choice in an easy consumption model and whilst no doubt drives a lot of business value, the complexity of IT estates is also increasing. Pivotal Cloud Foundry (PCF) is a Cloud agnostic, opinionated PaaS to facilitate the desire for application portability. Pivotal Container Service (PKS) to provide a Kubernetes based service that can complement a GCP hosted public deployment. Pivotal Labs can also transform your apps with you to enable them to become ‘cloud native’. Pivotal are the area of our business that are very customer developer aligned and they play a key role in Dell Technologies helping a customer prepare their application estate for Cloud. On the VMware side, VMware cloud on AWS is a solution which I see commonly discussed as being great option for Cloud ‘lift and shift’, as a new DR target for a local workload, or as way of meshing VMware specific advances like NFV for Telcos with AWS products like elastic storage or IoT. VMware are also at the forefront of Dell Technologies efforts to manage the Cloud control plane or Cloud Management Platform through the vRealize Suite and in developing or integrating new additions such as Wavefront. Wavefront is a new SaaS based solution and pretty much a vendor agnostic monitoring and logging solution that can operate across clouds. There is also NSX for Cloud providing for contiguous security and network context across cloud providers and VMware partners. The analogy I like to use it that VMware currently have the premier management stack to manage your local virtualised estates across your privately owned hardware islands, be that dedicated data-centres or co- lo’s. Going forward VMware are aiming to have that same management platform extend across vendors and clouds to give you a single tool set to manage all your clouds. RSA and Secureworks providing security products, consulting and management respectively. 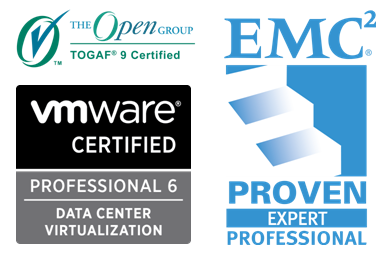 Dell EMC providing the hardware to build a modern on premise data center that can leverage VMware and Pivotal software to deliver a comparative local capability to Public Cloud. Dell EMC consulting, which is the function I work in, is the Dell Technologies consulting arm that can help take a customer through their transformation journey, with a focus on three key areas; 1) IT Transformation which includes services around Multi-cloud, Data Centre Transformation, IT Operating Model and Business Resilience. 2) Digital Transformation which covers Big Data & IoT, Cloud native applications and Dev Ops. 3) Workforce Transformation including Microsoft Office 365, Microsoft Skype for Business and Digital workplace portal. We lead the biggest, most complex engagements Dell Technologies are involved in, leveraging subject matter experts in our strategically aligned business such as VMware and Pivotal to help deliver successful outcomes for our customers – I won’t fib, its a pretty cool job! Additionally Dell EMC consulting UKI is leading the charge on a new consulting engagement model that looks to pictorially articulate a customer journey from today’s ‘As Is’ state through what we understand is the ‘To Be’ state, including a high level plan and business case to deliver against it. This can be delivered as a product and vendor agnostic engagement and we see a lot of demand for customers looking for help to support the creation of an actionable multi cloud strategy, but which we can of course help you execute on using the products and services we have available too. Copyright © 2019 Abstract, Pool and Automate IT!. Powered by WordPress and Stargazer.